In its first Eurocup game since the 2009-10 season, Ventspils had a strong start in Group F by downing Buducnost VOLI Podgorica 82-75 at home on Wednesday. It was both teams' opening game in this group. Former Eurocup winner Mire Chatman paced the winners with 19 points. Harvey Grant and Troy Barniers each added 12 while Davis Lejasmeiers and Martins Meiers had 10 apiece for Ventspils. J.R. Reynolds led Buducnost with 18 points on 10-of-10 free throws. Darko Planinic added 13 while Cedomir Vitkovac had 11 for the guests. Grant and Maris Gulbis allowed Ventspils to get a 23-15 lead late in the first quarter. 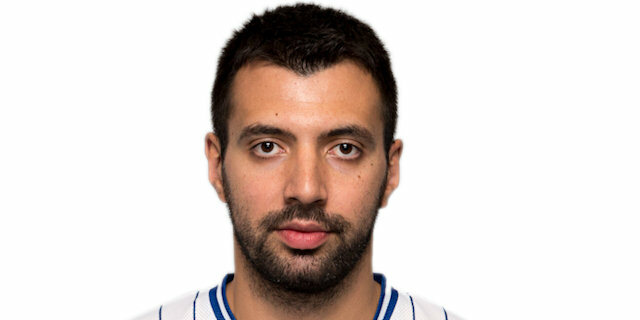 Buducnost managed to get within 24-21 after 10 minutes and got closer, 34-42, on a basket by Vladimir Dasic. 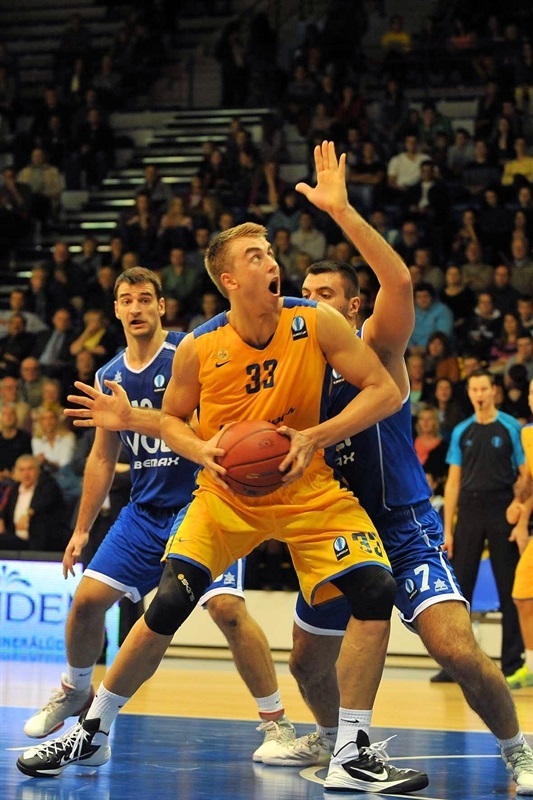 Chatman and Lejasmeiers fueled a 15-0 run which allowed Ventspils to break the game open, 47-32. Ventspils improved its margin to 50-34 at halftime and then again to 70-50 late in the third quarter. 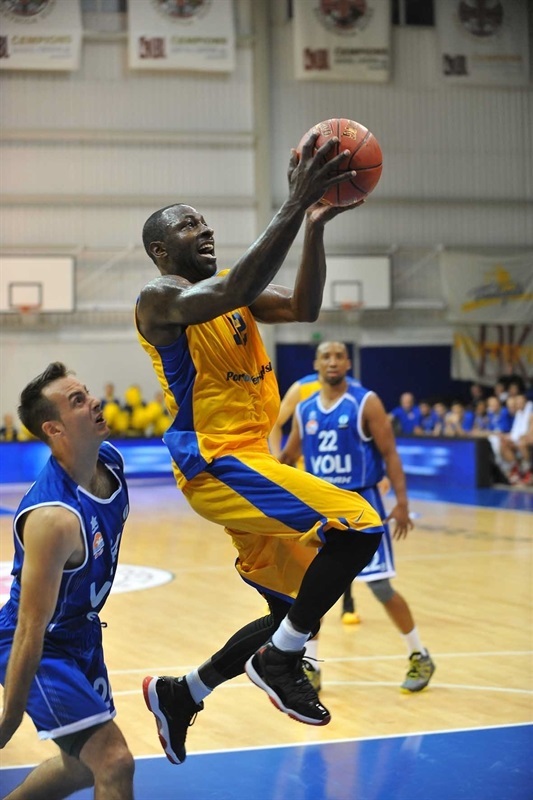 A 0-10 run which J.R. Reynolds capped with back-to-back three-pointers brought Buducnost within single digits, 70-62. Buducnost managed to make it a five-point game, 79-74, but Chatman stepped up in crunch time to keep Ventspils out of trouble. Planinic and Will Sheehey got Buducnost going but Grant soon gave Ventspils a 6-4 lead. Gulbis struck from downtown but an unstoppable Planinic and a triple by Suad Sehovic tied it at 9-9. Chatman downed a three-pointer and Gulbis followed Grant's dunk with another triple for a 17-13 Ventspils lead. Planinic scored again but a 6-0 run which Meiers capped with free throws made it an eight-point game, 23-15. Vitkovac and Reynolds kept Buducnost within 24-21 after 10 minutes. 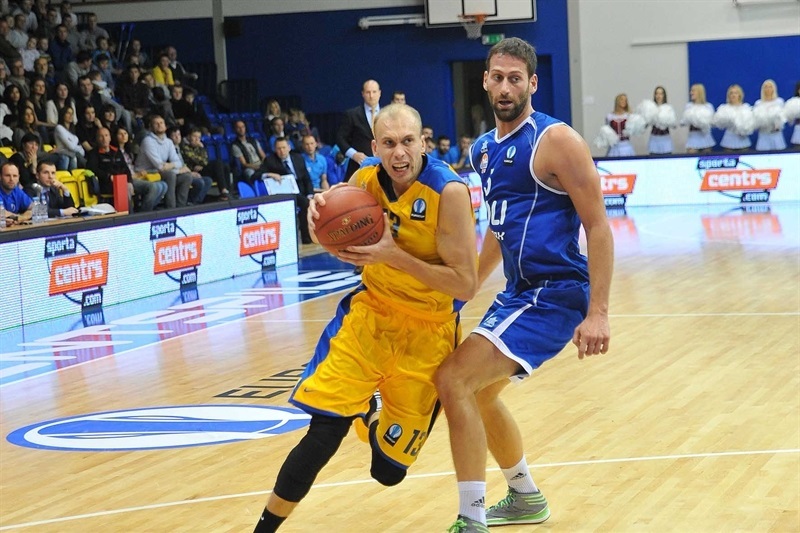 The guests improved its defense and a layup by Planinic kept Buducnost as close as 30-27. Chatman and Barnies shined with consecutive baskets but Sehovic and Dasic got the guests even closer, 34-32. It didn't last long, however, as Chatman and an unstoppable Lejasmeiers fueled a 13-0 run which broke the game open, 47-32. Free throws by Omar Cook and a big triple by Lejasmeiers fixed the halftime score at 50-34. Back-to-back baskets by Cedomir Vitkovac and Sheehey gave Buducnost hope, 50-38, right after the break. Zanis Peiners sank a three-pointer and got help from Barniers and Akselis Vairogs to boost the hosts' lead to 57-40. 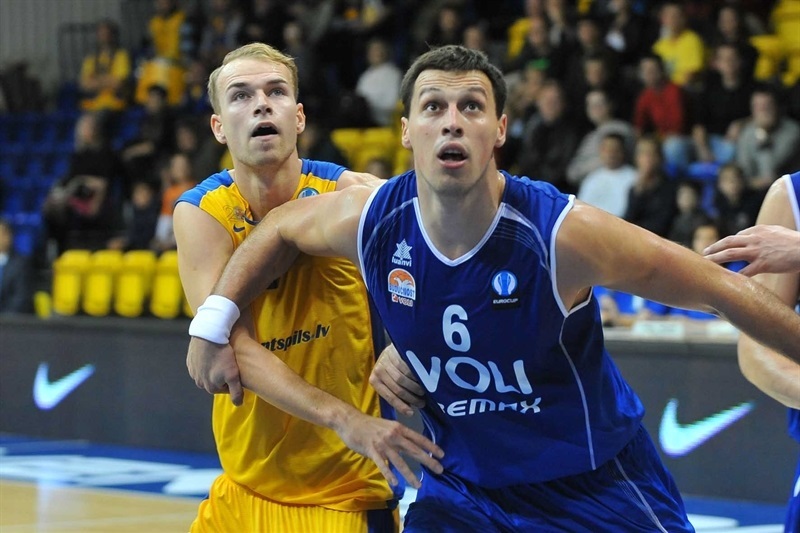 Ventspils kept full control of the game and Lejasmeiers allowed the hosts to get a 19-point margin, 64-45. Sehovic and Cook kept trying but Ventspils still led 70-52 after 30 minutes. Buducnost shined early in the fourth quarter and back-to-back three-pointers by Reynolds got the guests within 70-62. 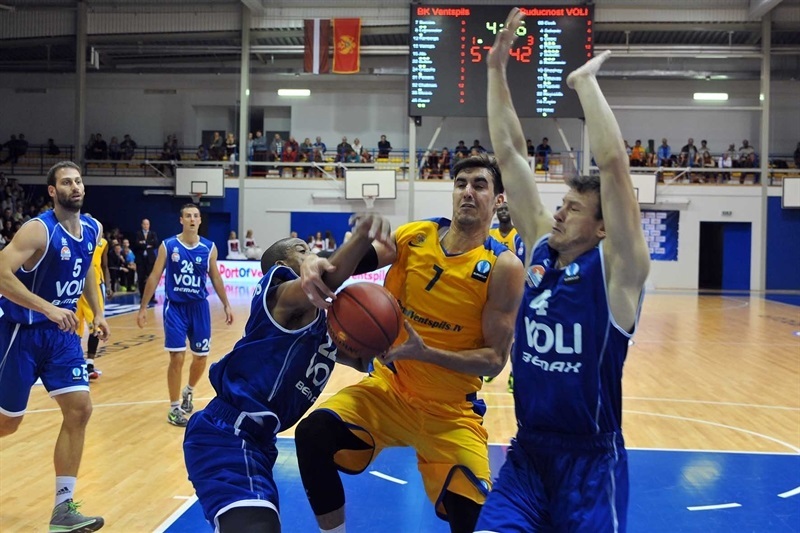 Reynolds got help from Cook and Vitkovac to bring Buducnost even closer, 79-74, in the next-to-last minute. 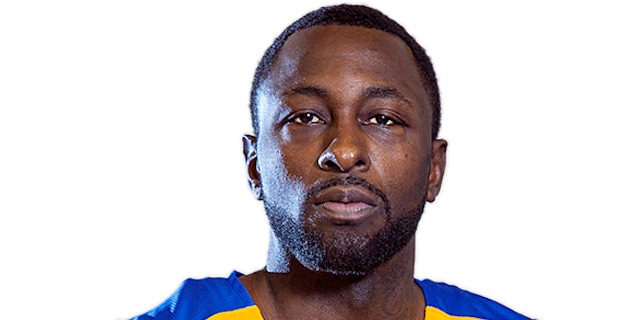 Free throws by Chatman allowed Ventspils to seal the outcome down the stretch. "I am happy that we played three wonderful quarters where we dominated. The last quarter was different, but also not bad if we look at it from the perspective of fans and supporters of Ventspils, because it created more tension. A win is a win and I am happy about it. We knew that we are playing against a strong team and we worked hard to get the result we could see today on the court. " "Congratulations to Ventspils. We knew that the game was going to be hard, because this is a game on the road and we spent many hours to get here. This is probably why we performed so badly in the first half; I think we did not manage to adapt yet. Our mistakes gave confidence to our opponents and they scored. We came out with more character in the second half, even managed to reduce the gap to 6, however we did not win. Today the strongest team won and it was our opponent. " "Today we fought like team with 100% effort. The first three quarters were good, but in the last fourth quarter I guess we got too relaxed. It is good that we came back and won the game. It feels good to return to Ventspils with a win; I was ready to do whatever it takes to win today. It feels good to start the Eurocup at the home court where I started my career many years ago. " 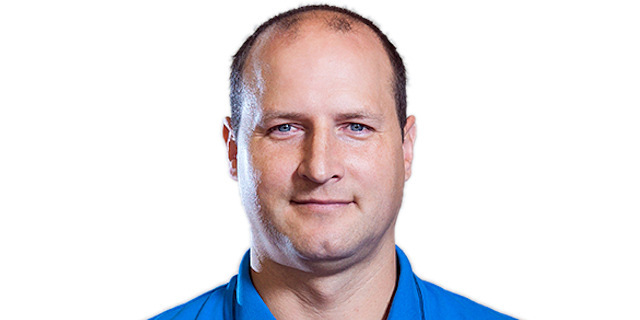 "In the first quarter we played very badly, especially on defence and this is why we gave up to Ventspils 50 points so fast. In the second half we came out better, we even had a chance to win, but we didn’t use it. We have to move on now and think about the next game. "